After the race, there will be a shuttle available to take runners from the Ten-Ten Finish Line to the post party and awards ceremony at Quaker Steak. There will be bus stop signs on West Canal Road. The shuttle will be available after the race only. 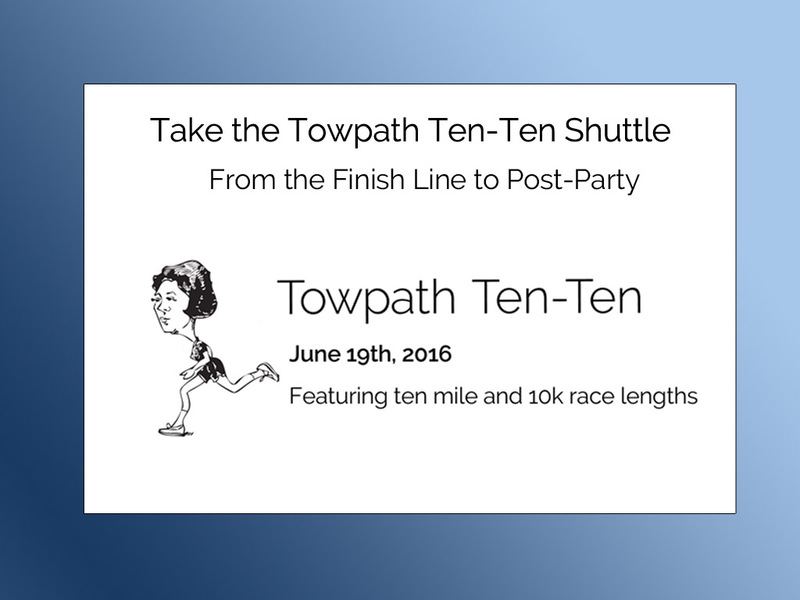 We ask that runners take the Ten-Ten shuttle after the race to avoid walking on the road.